It was announced today, after much speculation and rumour that, "a number" of missing episodes of Doctor Who have been returned to the BBC. Exactly how many and which episodes have been in found is yet to be confirmed. Expect this to announced at some point in the next two days. It will be interesting to see exactly what is meant by: " How fans will be able to watch the recovered episodes are also expected to be revealed later this week." Possibly a DVD release scheduled for November, the 50th anniversary month itself? BBC Worldwide is expected to confirm the find at a press screening in London later this week. 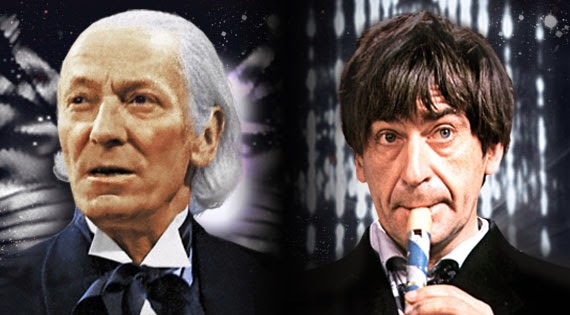 A total of 106 episodes featuring the first two actors to play the Doctor, William Hartnell and Patrick Troughton, are currently missing. The BBC destroyed many of the sci-fi drama's original transmission tapes in the 1960s and 1970s. However, the majority of the episodes had been transferred on to film for foreign broadcasters. It is often these prints found in other countries that are the source of retrieved episodes. In 1991, all four instalments of the Patrick Troughton adventure The Tomb of the Cybermen were discovered in Hong Kong. The latest find comes as Doctor Who celebrates its 50th birthday. A special episode featuring the current Doctor Matt Smith and his predecessor David Tennant will be shown on the programme's anniversary on 23 November. A raft of other programming to celebrate the long-running drama was also recently announced by the BBC.